Installation of a central heater is not just a simple task. It requires someone with a deep understanding of the functions of the different components. Seeing how vital a central heater you cannot afford to do without one. Eco Efficient aims at ensuring that you enjoy the comfort of your home by providing you with the best installation services. We have a team of exceptional engineers who are always happy to ensure that your home stays warm all through the year. Eco Efficient is a vetted and registered company that complies with all laws regarding gas safety. You will want qualified experts taking care of installing your boiler. This is because a boiler that is not properly installed can lead to malfunctions. 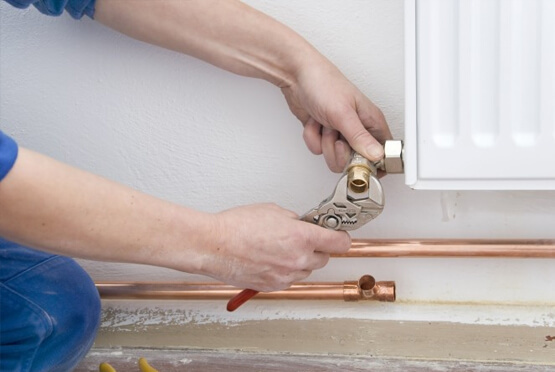 A faulty boiler can be very expensive to maintain in terms of repair and energy costs. Additionally, a dysfunctional central heater can be a cause for alarm. It poses health dangers through emission of carbon monoxide gas which is poisonous. There are so many amateurs out there claiming to be qualified engineers. Allowing inexperienced people to repair your boiler means additional boiler problems. You will, therefore, be happier contacting Eco Efficient for central heater installation in Cambridge. Our engineers are certified and have expansive knowledge on this. They take pride in producing excellent results and meeting the company’s set standards. Our qualified engineers will come to inspect your home. They will then offer you advise on the best central heater that suits your house. We understand the value of your time, that’s why our engineers are given company vehicles for easy transport. This ensures that they are always on time. With the modern equipment and the latest technology, you can be sure that you will get the best services. When you are moving to a new home, or you simply want to replace your old central heater. We are the people to contact. With decades of acquired knowledge and certified engineers, our work will not disappoint you. We have gained a reputation of the best and the United Kingdom as a whole. You can be sure that you will get excellent results without putting a major dent in your pockets. We have a team of understanding and dedicated customer support professionals who are always ready to listen and assist you. They are available 24 hours each day. They will help you overcome any central installation difficulties within a short time. One of the most outstanding qualities about Eco Efficient is that we not only install your central heater. We also offer you a lasting partnership. We will take care of all your central and boiler servicing needs. Our able support system will plan your regular maintenance schedule to ensure that your central heater is always performing at its level best. All this will be at a discounted cost because we value you as our client. So contact us for your central installation.